IT pros specializing in virtualization know that disaster recovery is a crucial part of their job. And although virtualized servers are generally easier to recover than physical ones, the task of providing business continuity is an ongoing challenge. How can you overcome this challenge? 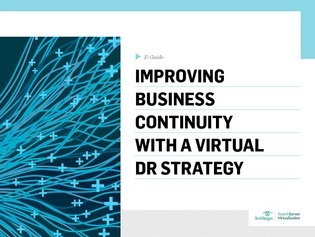 Fortunately, this expert e-Guide outlines how you can improve business continuity with an effective virtual disaster recovery strategy. Learn how to craft a solid virtual DR strategy and discover key tips and advice to help you get started today.